I am a huge fish and seafood lover and I love to find and create new recipes that doesn't include breading and frying. 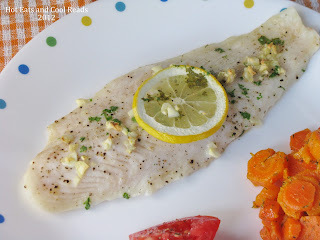 This recipe is perfect for any whitefish and the flavors are so delicious! The prep is fast, and it's so easy to throw it in the oven and prepare the rest of your meal while it cooks. I also love that fish is so quick to defrost, so you can easily make it for a last minute meal. We loved this one, and hope you do too! Enjoy!! Lightly grease a large baking dish. Place fish fillets in baking dish. 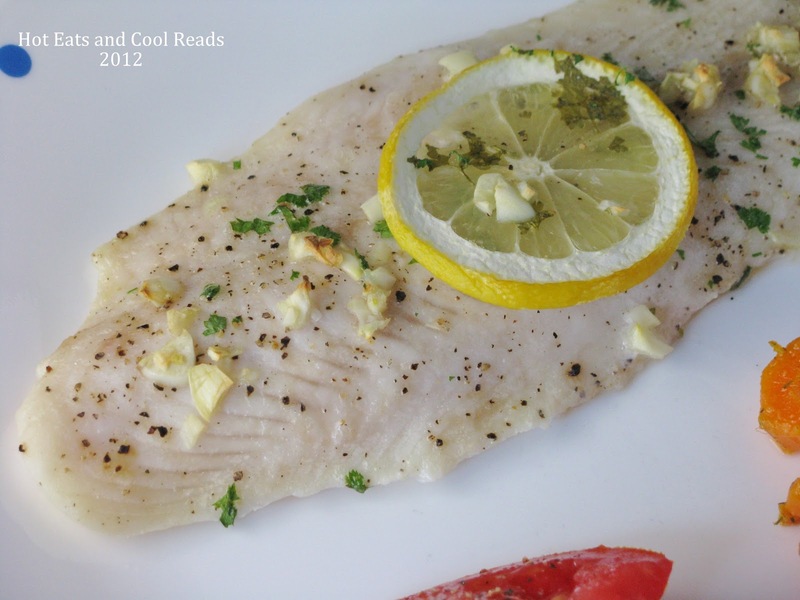 Pour lemon juice and butter over the fillets, then sprinkle garlic, parsley, salt and pepper over the top. Lay one lemon slice over each fillet. Bake for about 20 minutes, or until fish flakes easily with a fork. Thanks so much for pinning! I will try and link up this week! Thanks for sharing at FFF. I love tilapia, I use it in my fish tacos! I need to make fish tacos! Yum! Thanks for hosting Dawn! Sheena, this is a simple, lite, and delicious, a great recipe! Hope you are having a great weekend and thank you so much for sharing with Full Plate Thursday. Delish! I found you via the 6 Sisters Strut! Thanks Diana! So glad you stopped by!! Thanks so much for sharing my recipe Cindy!! I have never been able to make tilapia taste anything but bland. I'll have to give this a try. I would love it if you visited my new Gluten-Free Monday party at OneCreativeMommy.com and linked up this and any other idea you would like to share. I hope to see you there. You will love this one! Thanks for the invite! !